Science & Global Issues (SGI) is SEPUP’s latest standards-based, issue-oriented two-year high school integrated science program. SGI focuses on the role of science in addressing the needs of modern society and the use of technology in advancing scientific knowledge. This program was recently field tested at a variety of national sites. SGI includes a year of high school biology and a year of physical science. 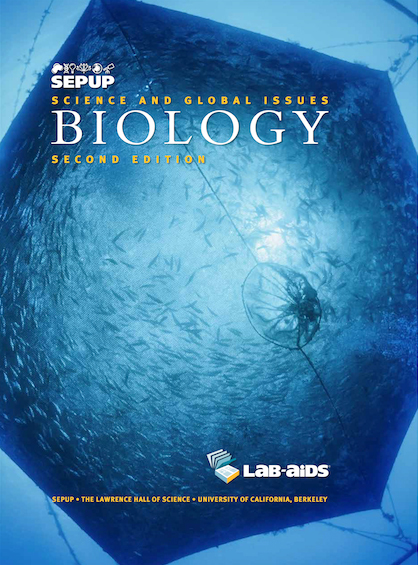 The one-year biology sequence, titled Science & Global Issues: Biology, was published in early 2011 and is now available from Lab-Aids, Inc. This material is based upon work supported by the National Science Foundation under Grant No. 0352453. Any opinions, findings, and conclusions or recommendations expressed in this material are those of the author(s) and do not necessarily reflect the views of the National Science Foundation.